Happy Wednesday!! Our weather here in the Windy City has made us quite dizzy. Starting to feel like spring with temps in the 60s, but then back to the 30s the next day. We’re getting whiplash from it all! But we know springtime is right around the corner, so we just need to be patient! Now on to some teeth talk. We’re sure you have wondered why you need to have x-rays taken every year by your dentist. We know it’s not the most fun thing to do, but it is very crucial for your oral health.Every 3-5 years you will need a full set of x-rays, which consists of 18 films. 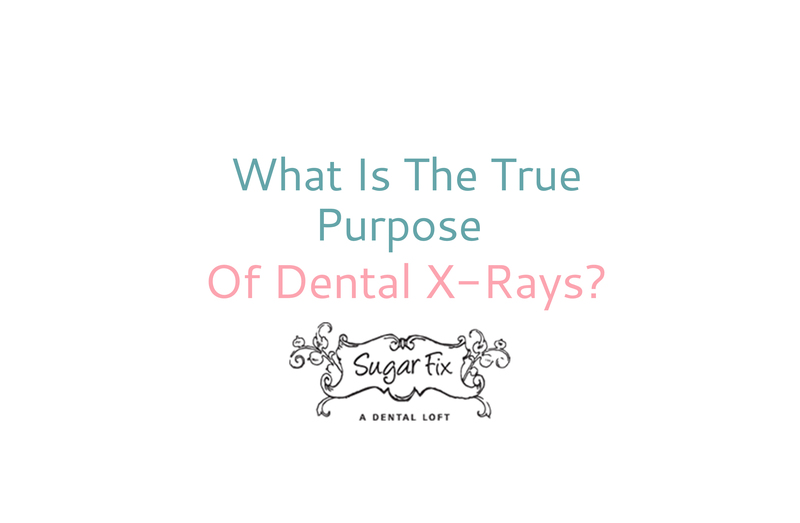 There are quite a few types of dental x-rays that are taken, but we won’t go into that much detail. We’ll talk about the most popular ones you will need and what Dr. Emery is looking for in your films. The most common x-ray and the one you’ll hear the most are bitewing x-rays. And it is pretty self-explanatory as it says it right in the name! These x-rays are where you have to, well, bite down on the x-ray film while the photo is being captured. We take bitewings so that we can see decay in-between your teeth – one of the hardest areas to see with the naked eye. We will take 4 bitewing x-rays, one for each quadrant of your mouth. (P.S. we have 4 quadrants if you didn’t guess that already. Hehe!) 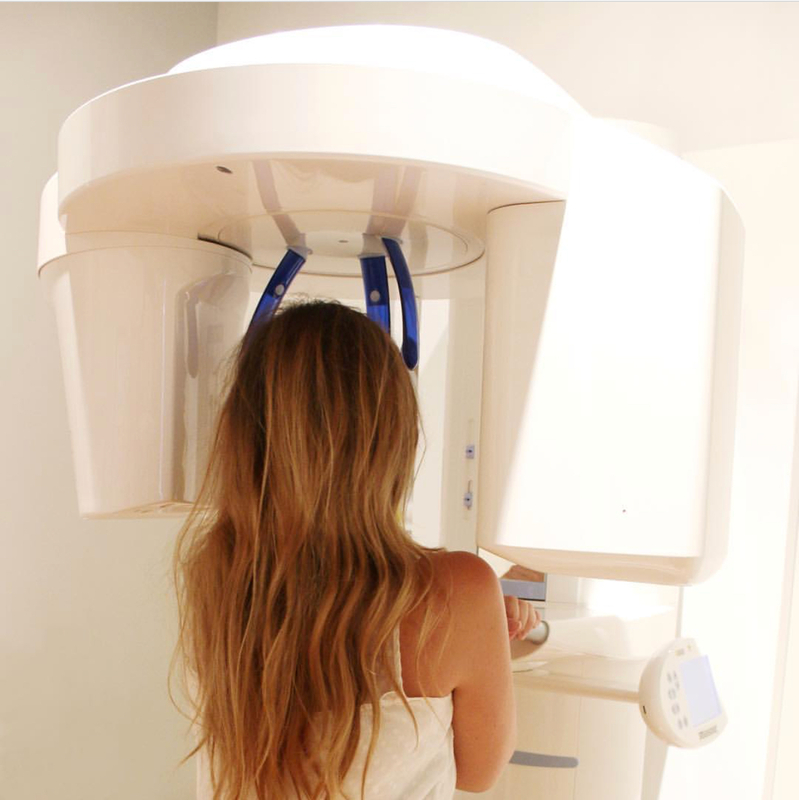 Here at Sugar Fix Dental Loft, Dr. Jessica Emery recommends taking bitewing x-rays once a year. A lot can change in that amount of time! Periapical x-rays are more commonly known as PAs. These dental x-rays focus on 1-2 teeth up close. If you are experiencing a toothache or if there is a suspicious looking area on one of your teeth, we would take a PA to get a better idea of what is going on. It can show up past the root of your tooth to see if there is an abscess growing. We also take them to evaluate the health of your front teeth, which are not included in the bitewing series. Another common type of dental x-ray we will perform is a Panorex or you may hear Panoramic X-Ray. Think of a panoramic photo that is taken. You get the entire view. Well, that’s very similar to a panorex! It’s an image of your entire mouth. You’ll see every tooth you have, even the ones that are hidden. With this image, it can help Dr. Emery to see if you have any wisdom teeth. It is also very helpful to see any type of tumor or abscess as well. We would not be able to see these unless we had this x-ray. Bitewings and PA’s are very limited. Useful, but very limited! Panoramic x-rays are also required if you need orthodontic treatment. It helps evaluate the health of roots, bone, and any development of permanent teeth. So, as you can see from up above x-rays a very very important! each type of dental x-ray that we take serves a very different purpose. It is extremely important that we have these taken in order to diagnose anything that may occur! If you have any questions feel free to give us a call at 773-883-1818 to schedule an appointment!